Anything that we do in business requires casting vision biblically and keeping God at the center. The best way to start that process is allowing Him to give you biblical vision for the first step. How can you move forward if you don’t see where you are going? 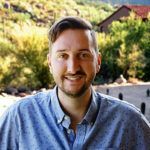 What is casting vision biblically? Vision is basically a divinely inspired picture of something in the future. It is something that you aspire to, a direction, and anticipating that which is to come. I have found that when people try to vision-cast without God it is nothing more than wishful thinking. The truth is that God does have a “plan for you, a plan to prosper you, and to give you a hope in the future,” just like when he said this exact statement to the Israelites in Jeremiah 29:11. Vision in business is a crucial step to working with God. The prophet Habakuk models this for us in chapters 2 and 3 of the old testament book. 1. Ask God for Vision. In Habakuk 2:1 the prophet is looking to see what God will say to him. Habakuk is having a conversation with God through this whole book. To begin casting vision biblically you start with asking God for vision. After he speaks to God in 2:1 he says he is going to “look forth to see what he will say.” So ask and listen diligently. I think a lot of times we ask God for something but then we don’t be still to actually listen or slow down enough to hear Him. 2. Write the Vision Down. Pretty self explanatory. When I reread the vision God cast for me with ChristCenteredCoaching.com it fires me up. It keeps me focused and on track with what God has called me to. When you write it down it should be simple and direct. Casting vision biblically must be written down so you can remember it, communicate it, and give others the opportunity to buy into the vision. 3. Patience. I’ve found that casting vision biblically doesn’t happen all at once. God usually reveals it in steps; so its something you must do repeatedly. He will give you one step at a time and our job is to be obedient. If he gave you all the steps at once it would be overwhelming or scary. That is why we must be patient. The truth is that God wants you to succeed more than you do for yourself. Patience helps keep you in step with God and not run ahead of Him. There is temptation to get excited about the vision He is giving you and then run ahead of Him to try and carry it out. Slow down, be patient, the Holy Spirit will guide you. Biblical vision casting requires patience because it is God’s timing. 4. Have Faith. Believe the vision will come to pass. It is impossible to please God without faith. With any biblical vision casting belief is required for you and others to move forward in it. This is a 2 part tip from Habakuk 2:4. The vision you get from God is truly amazing. Don’t let it make your prideful and puff you up. It is God’s vision and your are his manager/coworker; keep Him as the leader. Remember that we can’t do anything of a God sized magnitude without Him. The second part, “…the righteous shall live by faith.” You are righteous because of Christ Jesus. Therefore you must believe and live by faith regardless of what things look like. Remember the story of Joseph where at a young age he had a vision/dream of being a leader. He then was sold into slavey, put into prison, and forgotten all before God’s vision for him manifested in his life. Joseph was a dreamer who lived by faith and Habakuk backs up this step as well. 5. Be sober. If we are tying to do something as important as casting vision biblically for our lives and business I want to encourage you to be sober minded. This comes from Habakuk 2:5. This step is important because you don’t want competing voices or anything distorting God’s vision. Anything that alters your sobriety is another competing voice in hearing God. I find that other voices can throw me off track, delay me, and cause me to make mistakes. This may be uncomfortable to hear but important so you become fully satisfied in what God has for you. The lusts of the flesh are alluring especially in business but only Christ Centered Success satisfies. 6. Praise and Thanksgiving. Finally, a the end of Habakuk chapter 3 the prophet concludes with praise and thanksgiving to God. Thanksgiving and praise helps you become more open to God. Ever heard “attitude of gratitude”? During the process of casting vision biblically be thankful and praise God for this vision. How amazing is it that the creator of the universe wants to work with you and give you vision! 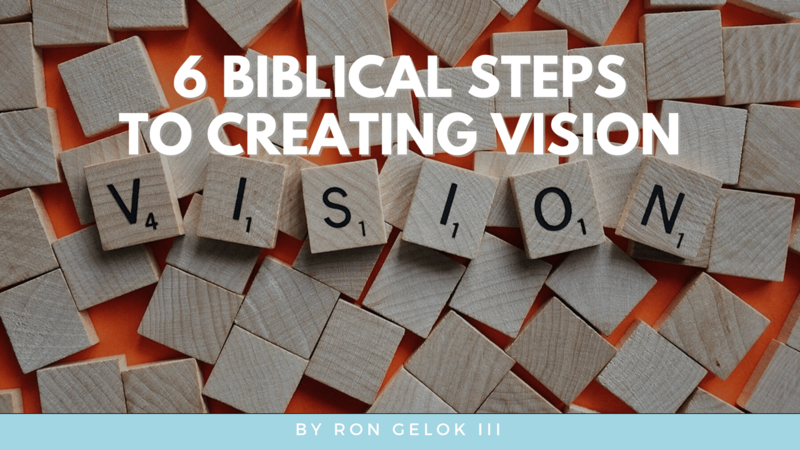 I hope you enjoyed 6 Steps to Casting Vision Biblically. If you would like some more help hearing God so you can acquire his Vision consider reading our other blog post entitled 14 Ways to Hear God’s Voice In Business. Want to represent that you are Christ Centered? Click Here to pick up the Christ Centered Coaching Pin and Journal.